Roy Wade Adams, 71, died Thursday, March 26, 1998, at his Abilene residence. Funeral services will be 2:00 P.M. Saturday at the Wylie Baptist Church.... Entombment will be in the Elmwood Memorial Park Mausoleum directed by Elliott-Hamil Funeral Home, 542 Hickory. Mr. Adams was born on November 16, 1926, in Richland [Navarro Co.], Texas, to the late Roy Adams and Mary Lou Alford Adams. He graduated from Judson High School in Longview, TX. He retired after working for Atlantic Richfield Co. For 38 years. Mr. Adams helped develop the first fully computerized offshore natural gas production system in the world. His last ten years with Atlantic Richfield were spent helping to develop Prudhoe Bay, Alaska. He moved to Abilene from Alaska in 1985. Mr. Adams married Jessie Marie Scott in Crane, TX, on November 22, 1952. 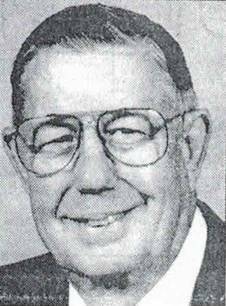 He was a very active member of Wylie Baptist Church where he taught a men’s Sunday School class and administered the video tape outreach ministry. He was also a member and officer of PEP Club at the church. As a teenager, he was an Eagle Scout with his Gold, Silver, and Bronze Leaves. As a young father, he was a Cub Scout Cubmaster, a Webelos Leader, and a Boy Scout Scoutmaster. He also had been Director of West University Little League Baseball and had coached in the Little League. He had coached Junior Football in Houston. Mr. Adams took great pleasure in his grandchildren. More recently, he was an avid supporter of his grandson, Adam, in tennis and band at Wylie High School. He loved his retirement and enjoyed working on his acreage, hunting and fishing. He was a member of the Masonic Lodge in Houston, and the Society of Petroleum Engineers. He was a U.S. Navy veteran of World War II, having served in the Pacific on a destroyer. In addition to his parents, Mr. Adams was preceded in death by a sister, Marilyn Adams. Pallbearers will be Don McSparran, Al Brown, Norman Milam, Leland Robinson, Charles Marsh, Don Franks, Richard King, Cody Barron and Bob Barton. Honorary pallbearers will be members of the Men’s Sunday School Class at Wylie Baptist Church and the Men’s Wednesday Morning Bible Study Group. Mr. Adams will be remembered for the special love he had for his grandchildren, helping others, and in his extraordinary sense of humor. AAFA NOTES: SSDI records confirm the birth and death dates of Roy W. Adams (SS# issued in TX), last residence Abilene, Taylor Co., TX. For more information about this family, see AAFA’s published genealogy, Known Descendants of Salvator Alford and Elizabeth Reynolds. His Alford lineage, from his mother: Mary Lou 1897 AL2, James Thomas 1873 AL3, Jacob Wesley 1847 AL4, Leven Ellis 1814 GA5, William 1787 VA6, William 1741 VA7, Salvator 1716 VA8.